— On average, Democrats led the generic ballot by 7.1 points over the past year. The monthly average ranged from 6.2 points in February 2018 to 10.1 points in December 2017. The December result was clearly an outlier, however, and may have led to a misinterpretation of more recent results as indicating a significant decline in the Democratic lead. The House generic ballot, a national polling question that gauges voter intentions in the House vote, often fluctuates a lot from poll to poll. For instance, a poll that is highly rated by FiveThirtyEight’s pollster ratings, Monmouth University, fluctuated from a 15-point Democratic lead in December 2017 to a two-point Democratic lead in January back up to an eight-point Democratic lead most recently. That said, the overall average of these polls has told a relatively consistent story. Over the past 12 months (May 2017 to April 2018), there were a total of 279 generic ballot polls included in FiveThirtyEight’s database. I used the raw, unadjusted poll results (in other words, I used the actual poll results as opposed to the adjusted numbers FiveThirtyEight uses in its average). The number of polls ranged from 18 to 32 per month. On average, Democrats led by 7.1 points over the past year, and Democrats have led in almost every individual poll. The monthly average ranged from 6.2 points in February 2018 to 10.1 points in December 2017. The December result was clearly an outlier, however, and may have led to a misinterpretation of more recent results as indicating a significant decline in the Democratic lead. Except for the December results, the monthly averages have fallen within a fairly narrow range of 6.2 to 7.8 points. December 2017 was also generally the weakest time for President Donald Trump’s approval rating, so the Republican brand as a whole just seemed weaker in December than before or since. 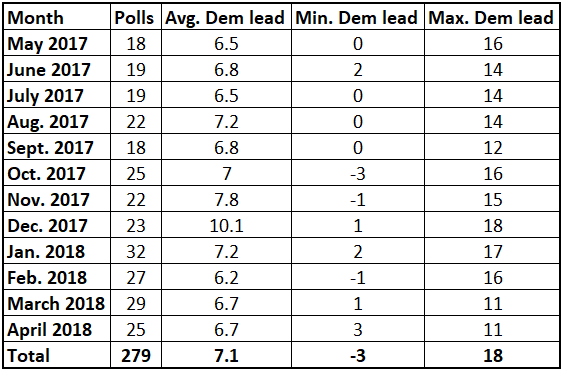 Table 1 shows the monthly generic ballot averages, which shows the stability in the Democratic lead outside of December 2017. What does this Democratic lead mean for the fall? While experts differ on how large of a lead Democrats need to feel good about their chances to flip the House, my House prediction model — described here in a previous Crystal Ball article — suggests lead of as small as four points might be sufficient, although the model’s standard error is wide enough that Democrats certainly would feel better about their odds if their lead in the generic ballot average was in the high single or even low double digits. 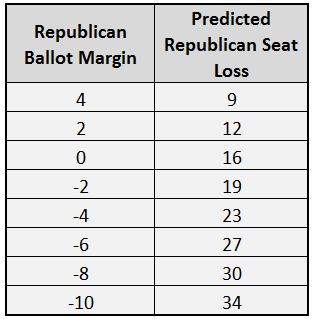 Table 2 shows the model’s predictions for Democratic seat gains based on the House generic ballot average. Alan I. Abramowitz is the Alben W. Barkley Chair in Political Science at Emory University and a senior columnist with Sabato’s Crystal Ball. His new book, The Great Alignment: Race, Party Transformation, and the Rise of Donald Trump, is scheduled for release this June by Yale University Press.